How about this for sushi? Caught on the Dragin Fly this week. Conservative length/girth estimates it to be well over 200 pounds. ......but rainy days in the office have been productive. 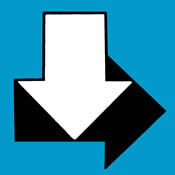 Response from our Spring Newsletter has been really good. I strongly encourage you to book your drum trips now!!!! I'm geared up for the Roanoke River, but will be making a quick trip down to Costa Rica to solidify a lot of reservations for 2012. That's right, 2012. To get on the Dragin Fly or any of the Fly Boats during the peak of the season, I encourage you to let us start building you a custom Costa Rica package soon. During the Green Season in Costa Rica, May through the November, there are plenty of openings and plenty of deals. It's a great place for a family summer vacation. I do have a few openings for Argentina duck and dove hunting in July and Costa Rica tarpon fishing in October. If you have any questions or need any additional info, I'll be around all week.......looks like it's going to rain again tomorrow......I think that I'm about due for a day of fishing in the rain. Capt. Gary and Capt. Brian report good catches of stripers on the Neuse today, also a few trout. day.............they were very pleased. B." 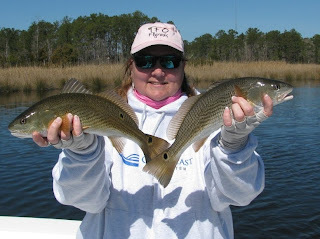 "catching and tagging specks at will with fish up to 25 1/2 inches, catching pups to 25 inches and a few flounder all out of Oriental. New Bern remains good for stripers and a variety of fresh water fishes." He just updated his calendar with us. Drop us a line and we'll get you out on the water. ......"Shad fishing is for those people who can't catch trout.". After a few warm days, the water temps are rising and recent reports from Joe and Capt. Gary Dubiel indicate that a lot of trout made it through the freeze. Good news! the trip back to the dock with us. They are arriving. " rumors of cobia catches are coming in from the nearshore wrecks, it's time for them to start showing up there. These warm temps could make it happen early again this year. If the weather is nice and you can get out a few miles there is no telling what you could get into. Offhsore the guys are doing good with the tunas and a few dolphin and wahoo. The guys caught 25 sails yesterday. 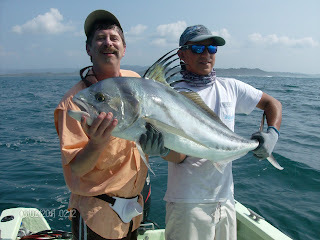 .......sounds like the sailfishing is really firing off, 18 sails and a dorado today. Capt. 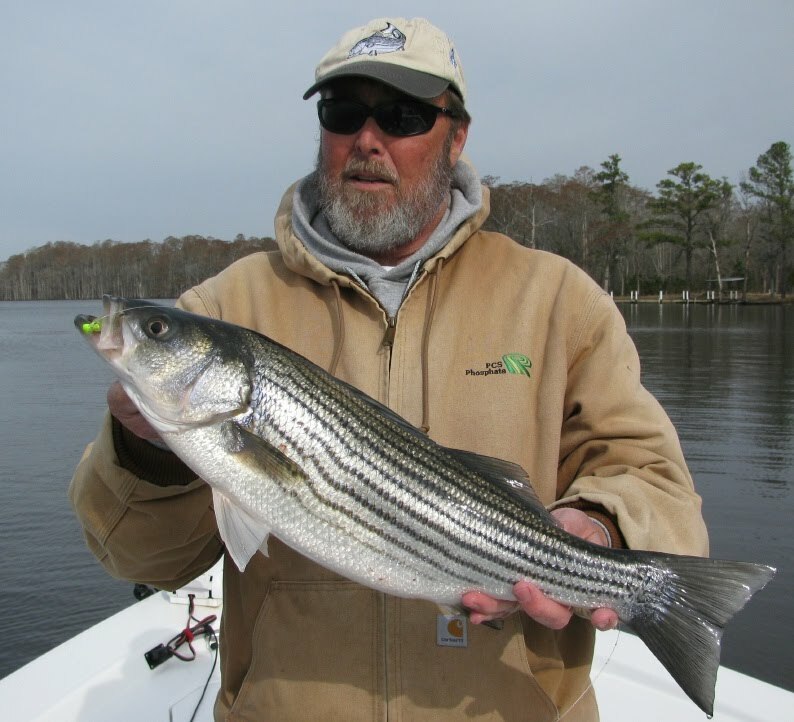 Gary Dubiel has been pretty busy this winter with good fishing in the upper parts of the Neuse/Trent and around Oriental. A lot of this fishing is technique-oriented on artificial baits, but he's been getting enough bites that the customers are learning a lot and they're catching fish. 4 hour half day trips are $350 and full days are $600, drop us a line and we'll put you together. In addition to the hickory shad, a few white shad are showing up on the Neuse and Roanoke Rivers. We have shad trips available in both locations for these prices. From April 18-May 15 striped bass trips are available on the Roanoke River. Long half days (5-6 hours) are $500 including bait. Full days (8-10 hours) are $700 including bait. Dicsounts available for fly fishing only trips. Space is limited and advance booking is recommended. Double header pups. These guys are going to really start growing fast when the water warms up a little, putting on an inch a month through the summer. In addition to pups, Gary is reporting decent catches of specks. It's good to know that they didn't all get hit by the freeze. Capt. Dave Stewart is also running these light tackle trips and I may be joining these guys to help out on the river over the next few weeks. "Hey, Its going off on the shad 50-60 fish days.Pitch Kettle. Waters extremely low so the main body of fish are staying in the river. I'll be back Sunday. " They seemed a bit "finicky" today, we had 21 bites and caught 9. Deep into the middle of the field. Congrats to the Game On who released 28 sails and is sitting in 1st place. Fishing has been good and steady. A lot of sailfish scattered over a large area. Tomorrow is Day1 of the 2nd leg of the Los Suenos Billfish series.